How Do I Remove Green Waste From My Home? Home / Rubbish Removal Blog / How Do I Remove Green Waste From My Home? If you have a green thumb, then no doubt, you’re proud of your garden. However, I’m sure you’ll agree that maintaining a garden is a very time consuming job. You need to prune and trim your plants, remove dead leaves, cut the grass and weed out the flowerbeds every season. Moreover, there’s also all that garden waste that you need to get rid of. While you can easily dispose small amounts of garden waste in standard garbage bins or green waste recycling bins, disposing large amounts of green waste can be a very difficult task. This is especially true during seasonal cleanouts when you’ll end up with a lot of garden rubbish. But don’t worry; there are some great options to avail when it comes to disposing large amounts of green waste. As the owner of 4 Waste Removals, who specialise in green waste removal, I’ll explain how you can remove green waste easily and effectively. Continue reading to find out. 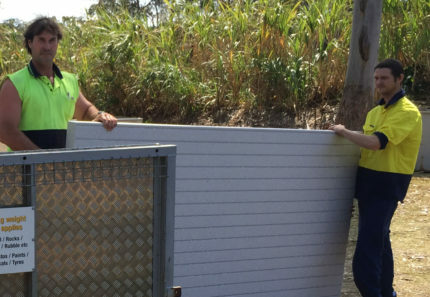 One of the easiest ways of disposing green waste is by contacting the Brisbane City Council and applying for a green waste recycling bin. However, there are some restrictions associated with this service. For starters, if you’re renting your home, you’ll need to talk to your agent or landlord about using this service. Another issue is that the bins are limited in size. They work fine for moderate amounts of green waste, but not for large amounts. Moreover, this service only offers fortnightly collection. So, for disposing large amounts of green waste to dispose, the only way to do it is bit-by-bit, which can take weeks, if not months. Using the council’s green waste recycling bins is great for normal tidying. But for large garden clean ups, a better option is to hire a green waste removal service. 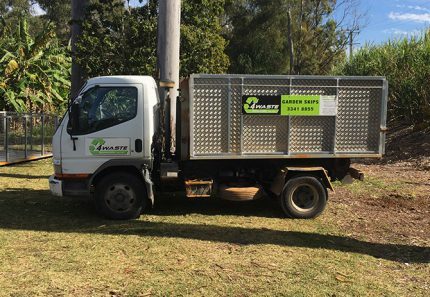 The best way of removing garden waste is by hiring a green waste removal service, such as us at 4 Waste Removals. 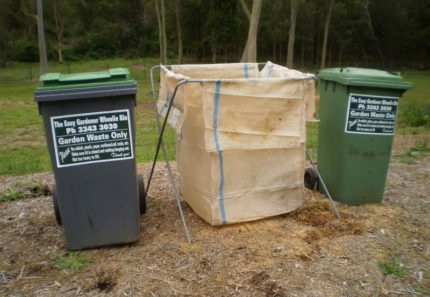 We offer three services to remove garden waste; garden skip bins, garden bags and garden bins. Our garden bags and garden bins are a great and affordable solution for removing medium to large amounts of waste on a periodic basis. Our garden bags resemble council’s green waste recycling bins, except that they’re about 2.5 times larger. This allows you to dispose more waste when you choose our service. And unlike the council’s service, we are very flexible with our collection. You can choose a weekly collection cycle, or have your waste collected once every 2, 4 or 8 weeks. Moreover, you can even change the collection frequency based on your requirements. However, if you have very large amount of garden waste to dispose, then our garden skip bins are ideal. With our garden skip bins, you can dispose up to 12m³ of green waste in one go and at costs that you can afford. When it comes to effortless and affordable green waste removal, 4 Waste Removals is definitely your option. 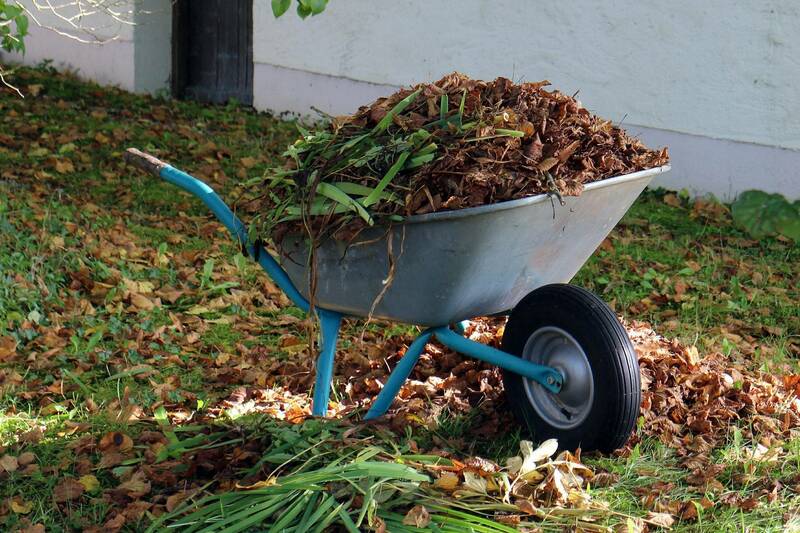 If you’re looking to remove green waste from your home, then you have two options on hand. First is that you can use a green waste recycling bin provided by the council to remove your waste. However, this service is only suitable for removing small amounts of green waste. 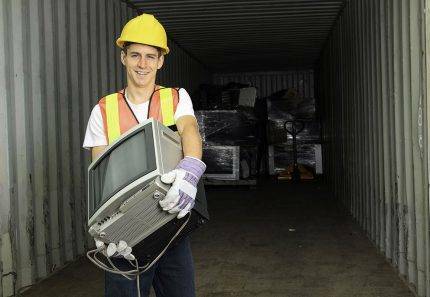 For medium to large amounts of waste, you can hire the services of green waste removal professionals such as 4 Waste Removals. You can use our garden bags, garden bins or garden skip bins to remove any amount of garden waste that you have. Call us at 07 3343 3030 to hire our garden bags, garden bins or garden skip bins today!